As today marks the official date for National Fragrance Day, I wanted to share with you one of my recent findings. A new found favourite of mine, that is fast becoming a signature scent; Byredo - Bibliothéque! On a recent trip to London, I made a quick pit stop at Liberty in between meetings, and headed straight over to the Byredo counter. 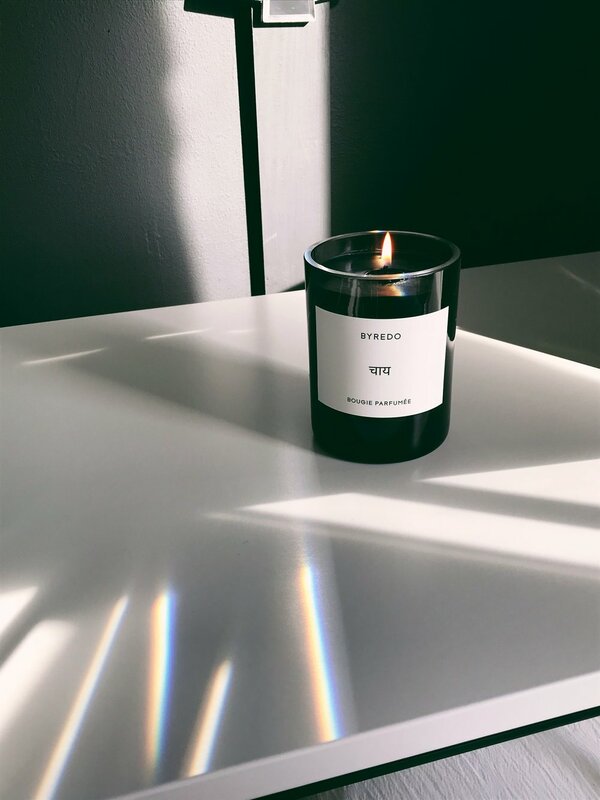 I knew I wanted a candle of some sort, and as a huge fan of Byredo, I knew that the brand didn't disappoint when it came to finding unique, stunning scents. Bibliothéque was recommended to me, and I became instantly hooked! 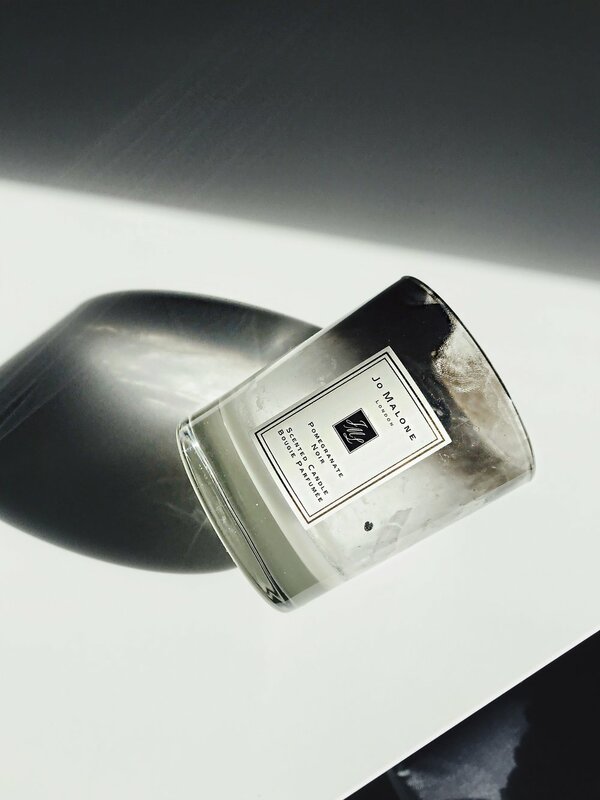 A beautiful smokey, creamy scent that emanates the entire room, leaving you feeling warm and snug. Fast forward a couple of weeks later, and an email comes through notifying me that the Bibliothéque candle had been created into a fragrance for a limited time. Never before, have I booked a ticket down to London as quick just to get my hands on one of these bottles! Very rarely, can a candle get me as excited about a fragrance, than this one. The first spray starts off with a bold beginning with the richness of the Plum and Violet notes swirling around and blending together creating a fruity, exotic scent. 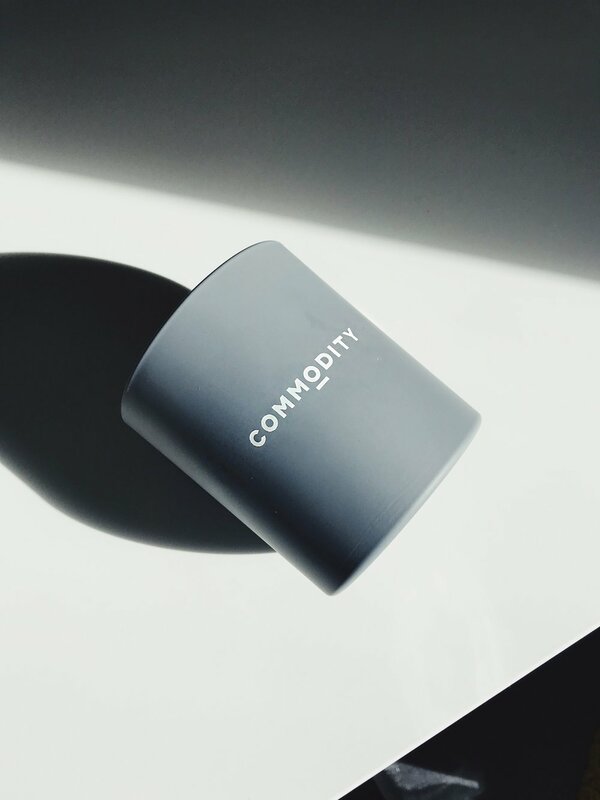 As the dry-down takes place, the scent becomes more smokey and intriguing, and begins to feel slightly sweeter with the Vanilla note becoming prominent. I find the scent so addictive and captivating, that although the projection and sillage of Bibliothéque is enormous, I still spray far more than I should, simply because it smells absolutely divine! The longevity of the fragrance lasted for up to 7-8 hours upon my skin, and has gained me countless amounts of compliments. Overall, one of my all time favourite scents, in both candle form, and in fragrance! 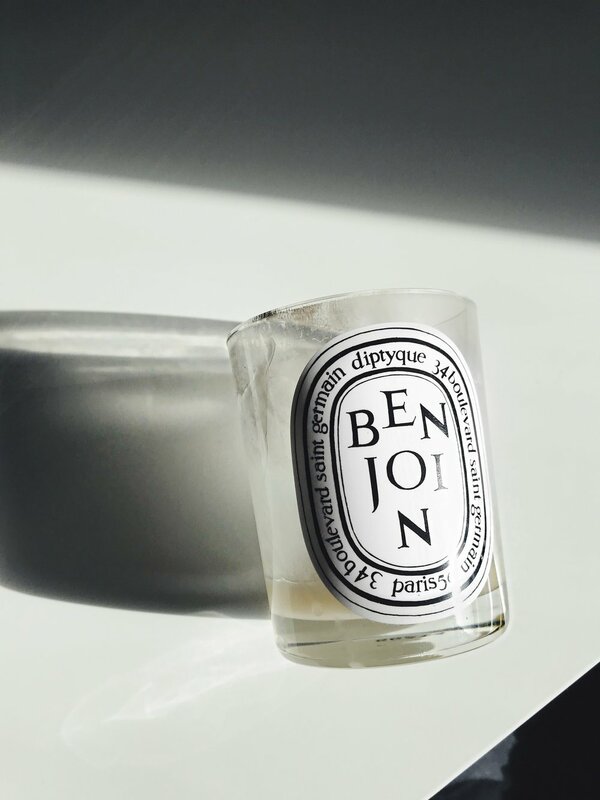 You can purchase the Byredo Bibliothéque candle here, and the fragrance here. Have you smelt Byredo Bibliothéque before? What do you think to it? Have you managed to smell it in fragrance form yet? If so, what are your thoughts? 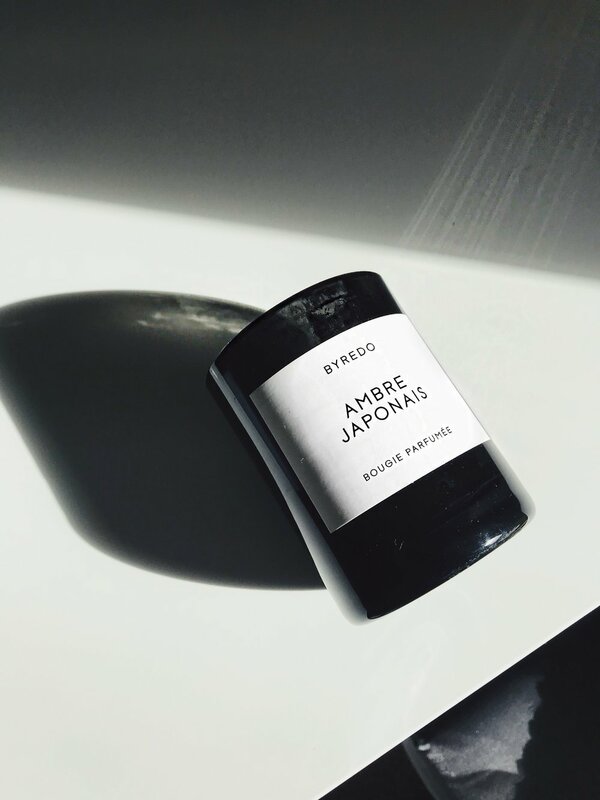 Do you have any favourites by Byredo? Which ones? Don't forget to click the like button, and leave me a comment down below! I cannot emphasise my new found love enough to you for the brand; Byredo! Having visited the Mr Porter Summer Social Event back in June, I received a goody bag filled with various items, and inside came two little samples of Byredo's; Mister Marvelous & Super Cedar. Instantly, I was hooked. Throughout the Summer months I found myself trying out lots of other fragrances, yet I was still drawn to those two little samples. In particular, the Super Cedar. As a huge lover of fragrance, I had got in touch with a few people and enquired on which Byredo fragrance had the following - 'spicy, powerful and in your face'. I took a gamble and bought the 'Baudelaire' fragrance as this is what had been suggested to me, without having ever smelt it. Luckily, it was a risk worth taking! The first spray is powerful and the Pepper notes blend with the Juniper Berries, whilst complimenting each other in the most perfect way. After around an hour or so, Baudelaire then takes a different direction, and becomes more intense and smokey with the Incense note remaining very prominent. Projection of Baudelaire is loud, and the sillage is enormous! I would say that the fragrance lasted for over 9 hours, which is majorly impressive. Overall, my first (blind) fragrance from Byredo, and one that will remain a classic fragrance for me. Baudelaire is available in 50ml, and 100ml and you can purchase Baudelaire through GT Shopping! GT Shopping is a website that allows you to search for whatever it is you want, and direct you through to the correct website. It makes for easy use, and cuts out all of the hassle in tirelessly trawling through the internet to find it! Have you smelt Baudelaire before? Have you tried any of the Byredo fragrances? Which is your favourite? Any you think I need to try out!? Let me know your comments down below, and don't forget to hit that like button!